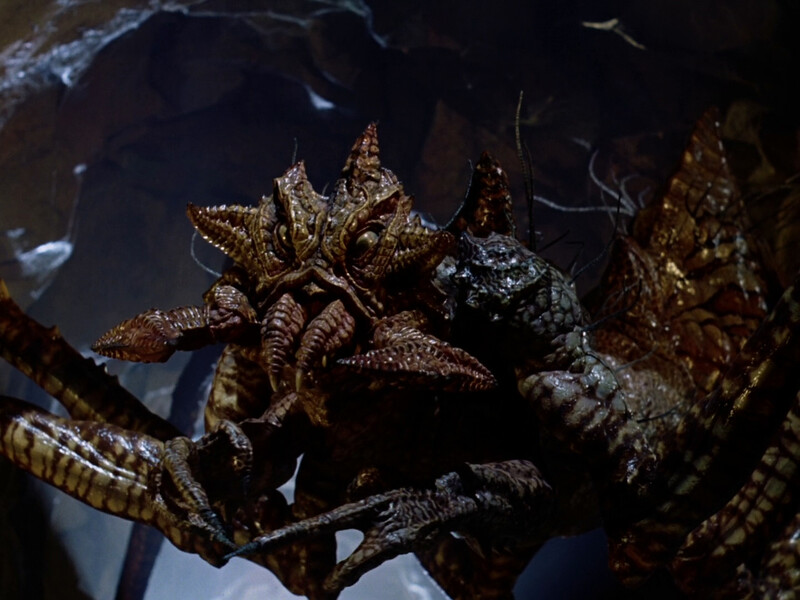 The spider puppet was dubbed ‘the Alaskan King Spider monster’ by the cast of the miniseries. Over 12 feet long and with 15 feet long spiked legs, it featured a fully mechanized head with radio-controlled mechanical components installed by David Kindlon. 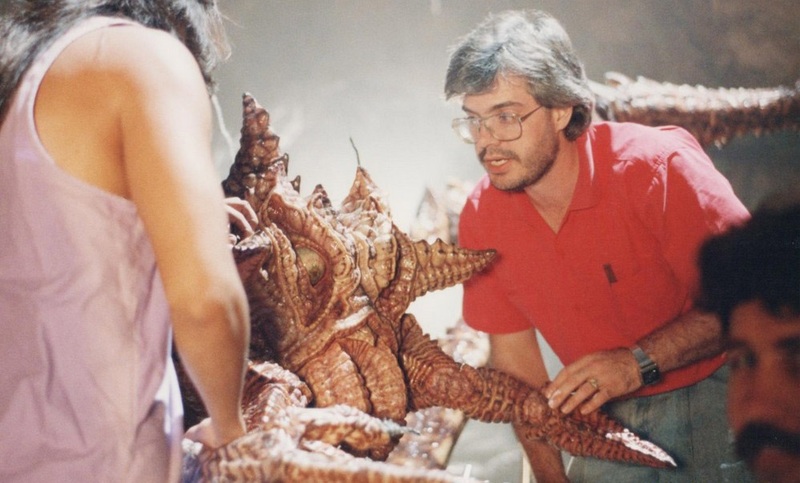 Inside its body was mouldmaker Brent Baker, puppeteering the creature’s arms — which were devised as a suit extension. 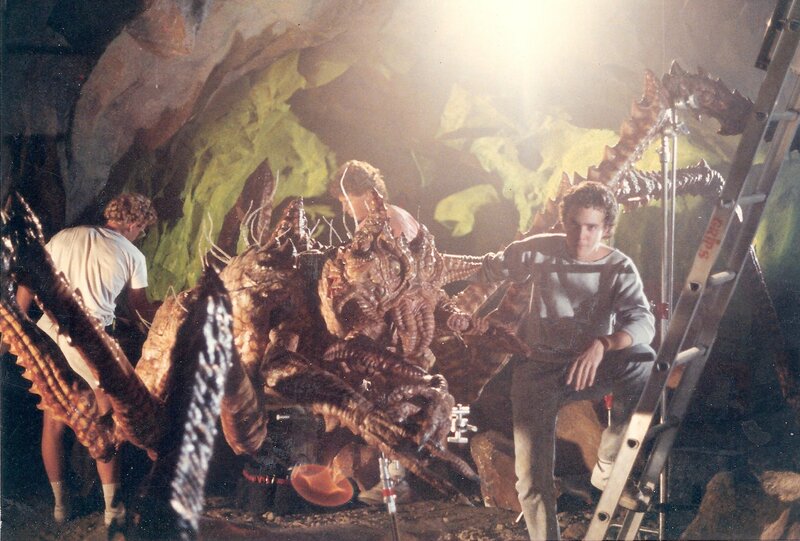 The legs were immobile, and the creature could be lowered or raised through an offscreen support. The legs themselves could be detached and used for insert shots. For certain sequences that required complex leg movement, a small-scale stop-motion puppet was devised. It was sculpted and painted by Aaron Sims over an armature constructed by Mike Joyce. 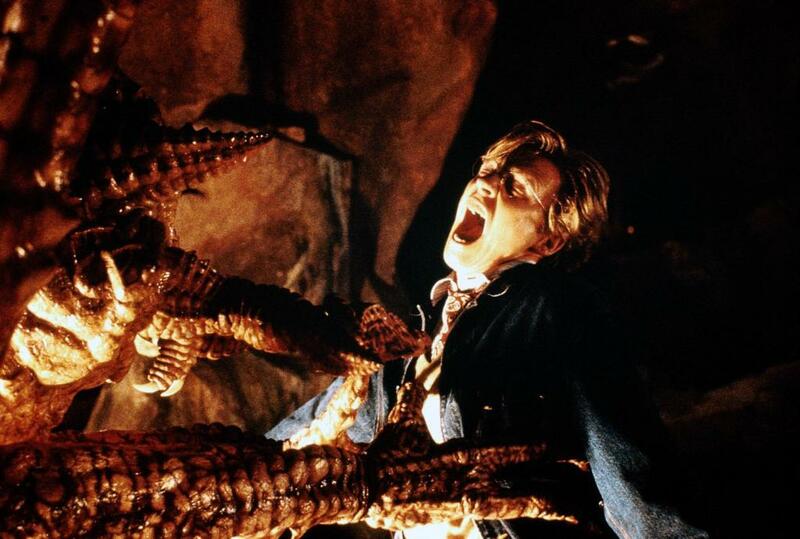 The actual animation was performed by Pete Kleinow at Fantasy II Film Effects. 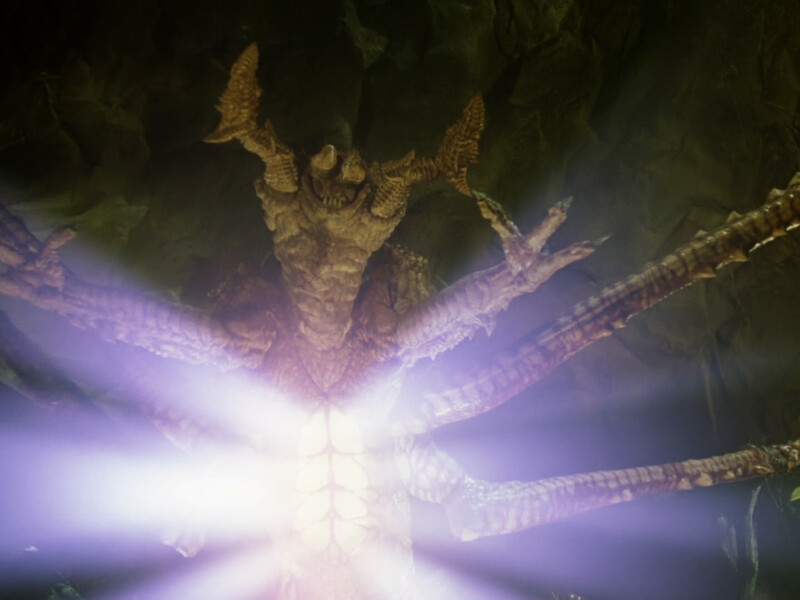 The deadlights were both a feature of the full-size puppet and an optical enhancement applied in post-production. For more pictures of the It spider, visit the Monster Gallery. Posted on 05/10/2017, in TV Series Monsters and tagged Aaron Sims, Bart J. Mixon, It, Pennywise, Stephen King. Bookmark the permalink. 7 Comments. What a shame. I hope somehow we can get the original drawings, and see it as it was supposed to be. 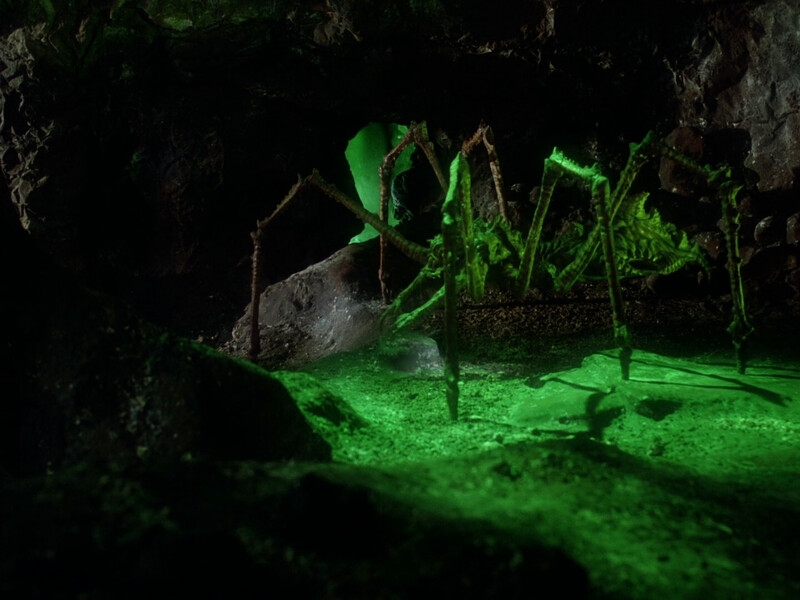 That said, it isn’t a terrible spider, just not a good not-a-spider. Nice article. It sure floats down here. He may have exaggerated things? Could you clear things up in that regard? I don’t recall there being any real problem with our spider at the time – so I was a little confused when I read those comments. I believe the Dead Mouse doc on the making of IT will have some of the design drawings for the spider and I thought the final creature was a very faithful representation of the illustrations. We did create a quick small scale sculpture to help visualize the drawings and I don’t recall it being that different from our final full size version, but unfortunately I have no photos of it. Thank you very much, Bart! I’ll update the article with this information as soon as possible.